Investment of approximately €250 million is making the total investment on Hefei Plant reach about €570 million. Expansion will boost the production capacity to around 14 million premium tires per year and double the existing workforce to around 2,700 by 2019. The large-scale expansion project once again demonstrates Continental Tires’ confidence and commitment to the China market. The technology company Continental, one of the leading global tire manufacturers, announced today the grand opening of the third phase expansion of its Hefei tire plant, the company’s first plant in China. With a total investment of around €250 million, the Hefei tire plant Phase III expansion will enable Continental Tires to boost its annual production capacity from currently about 8 million to 14 million tires by 2019. After the expansion, the Hefei plant will employ about 2,700 employees which is nearly twice as much as the current status of about 1,400 employees. With the plant expansion Continental Tires expects to further strengthen its presence in the Asia-Pacific and Chinese markets, and ultimately contribute to Continental`s corporate sales performance in the region. Jeff Wang, Plant Manager Hefei (left), Philipp von Hirschheydt, Executive Vice President Passenger and Light Truck Replacement Tires APAC (4th from left) and Seckin Sekeroglu, Vice President Key Account Management APAC (right) during the opening moment with guests. 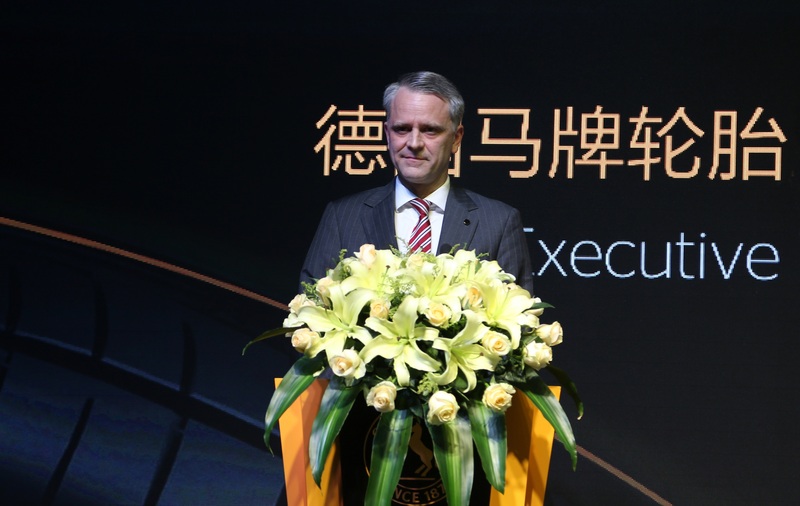 Since 2011, Continental Tires has been systematically ramping up the production capacity in the Hefei tire plant, which amounted to a total investment of about €570 million. As part of its strong commitment to the China market, Continental Tires also launched a Research and Development Test Center in 2015 as well as its first training center in the APAC region in 2016 in Hefei with the ultimate goal to enhance its local competency, laying a solid foundation for the company’s ambitious growth plan in the Asia Pacific region. “The Hefei plant has undergone breakthrough developments, becoming the cornerstone of Continental Tires’ rapid expansion in China. We are thrilled to embark on the next stage of our expansion journey, unleashing the full potential of the Hefei Plant through a third capital investment. As with any project of this scale and magnitude, the Hefei Plant expansion required an extensive amount of collaboration, in addition to trust and support from our local partners. 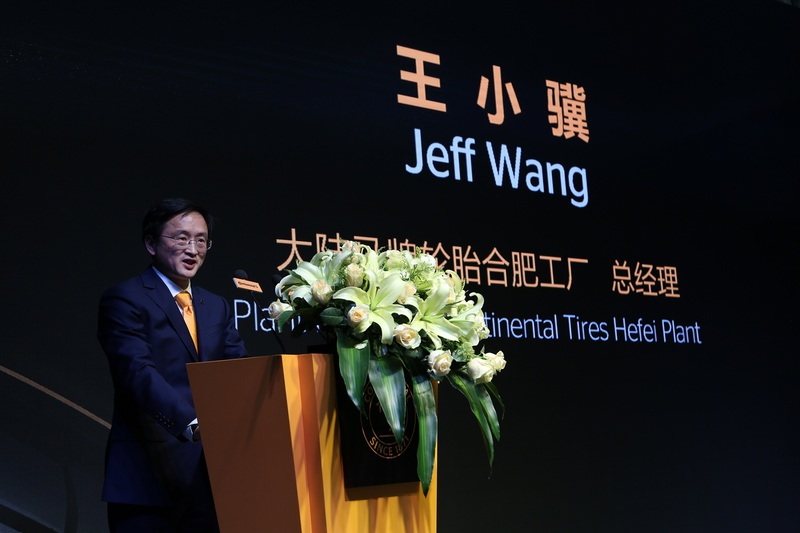 This successful opening is a testament to the strength of our existing relationships in the marketplace, nurtured over the course of a decade,” said Jeff Wang, Plant Manager of Continental Tires Hefei Plant. Continental Tires Hefei Plant was officially opened in 2011 with a total land area of 340,000 square meters. The plant mainly produces replacement and original equipment passenger car tires for the mid- to high-end Chinese market. Since its establishment, Hefei plant has been widely recognized as a green plant devoting to environment protection and local community development. For example, the production roof is covered with 70,000 square meters solar power panels which provide 5.5 million KWH green electricity each year. Its zero waste water and emission control also is a benchmark in the industry to protect the environment. Besides environment protection, Continental Tires is promoting cycling safety and driving safety among children and young drivers, and supports educational projects in the local community.